Volume 1, No. 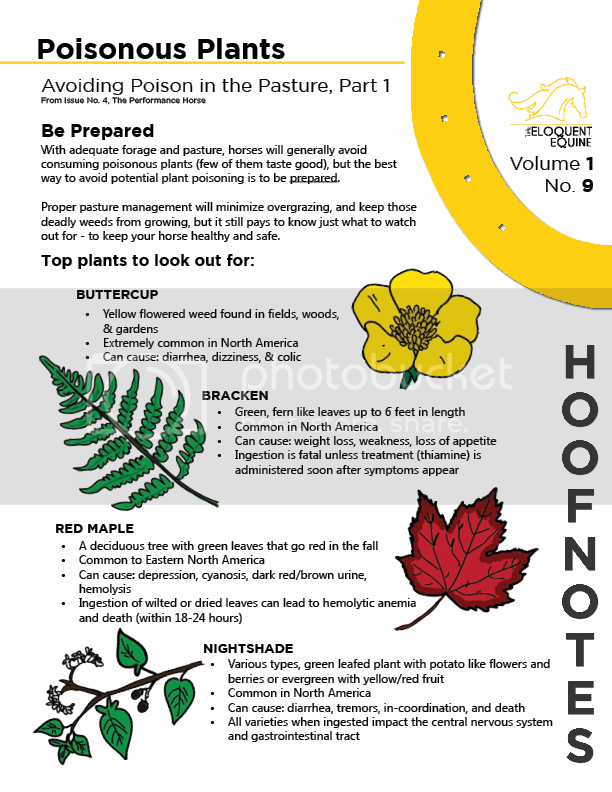 9 features some common poisonous plants your horse may encounter while out in the field. This HoofNote is is based on a larger article on common toxic flora, featured in Issue No. 4, The Performance Horse.